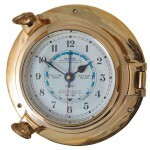 Nautical quartz clock with arabic numerals. 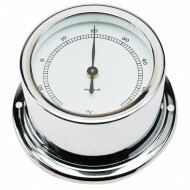 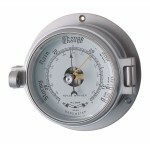 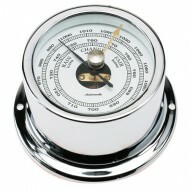 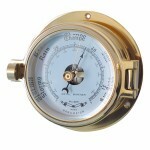 Base: 72 mm Dial: 50 mm Height: 39 mm Case finish: Chrome plated Base Material: Brass ..
Nautical aneroid barometer. 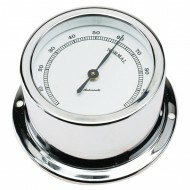 Base: 72 mm Dial: 50 mm Height: 39 mm Case finish: Chrome plated Base Material: Brass ..
Nautical thermometer. 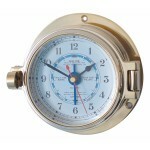 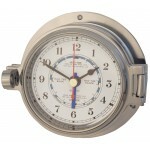 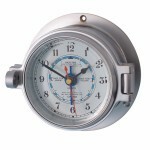 Base: 72 mm Dial: 50 mm Height: 39 mm Case finish: Chrome plated Base Material: Brass ..
Nautical hygrometer. 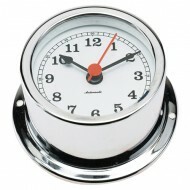 Base: 72 mm Dial: 50 mm Height: 39 mm Case finish: Chrome plated Base Material: Brass ..